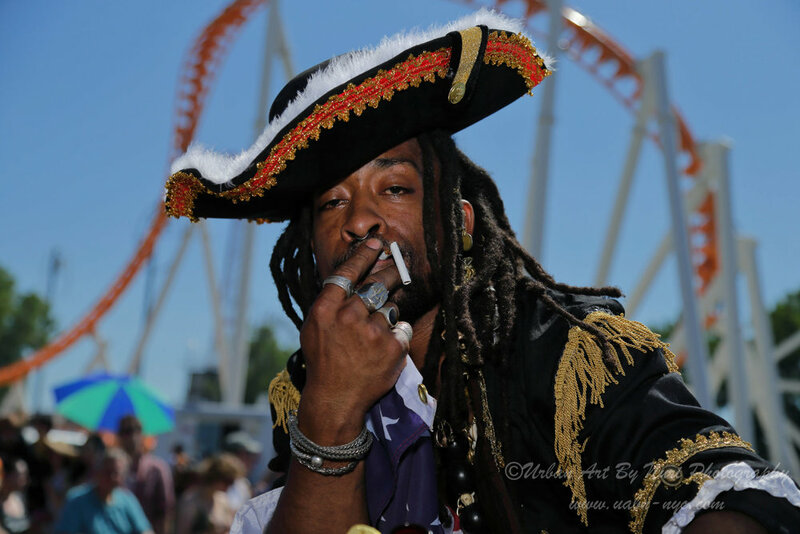 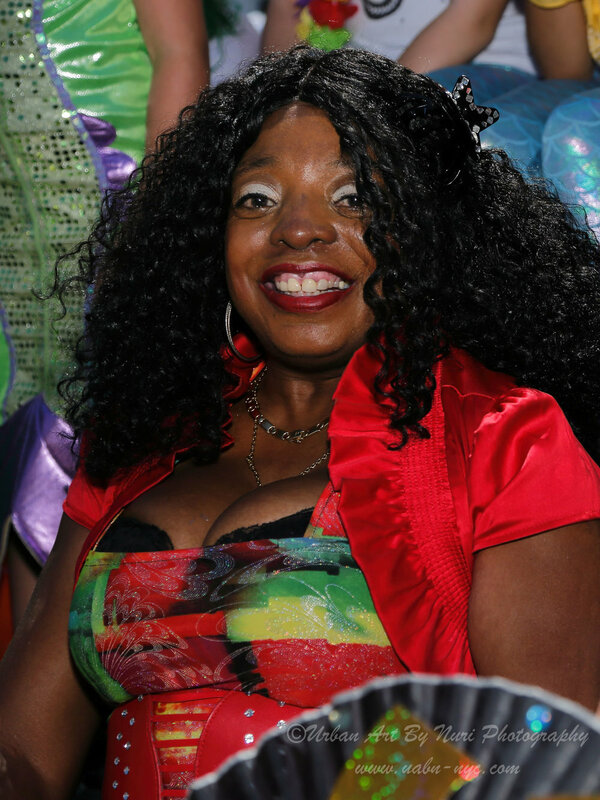 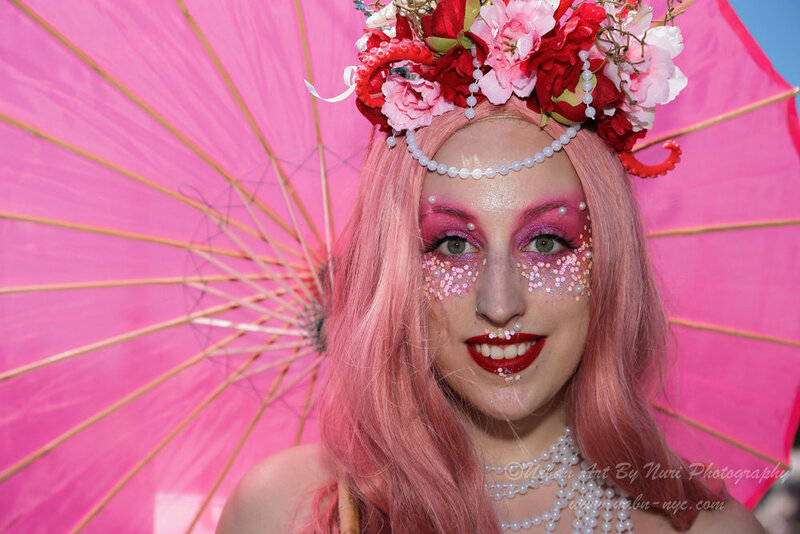 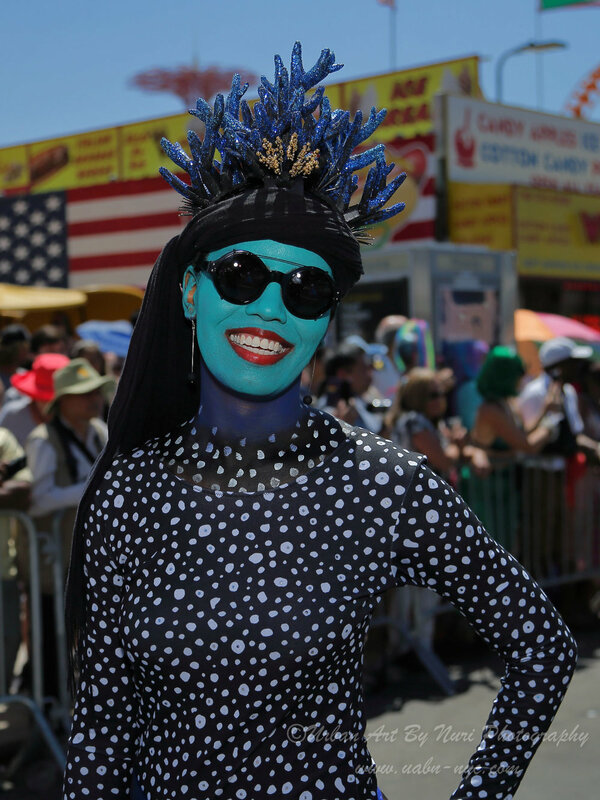 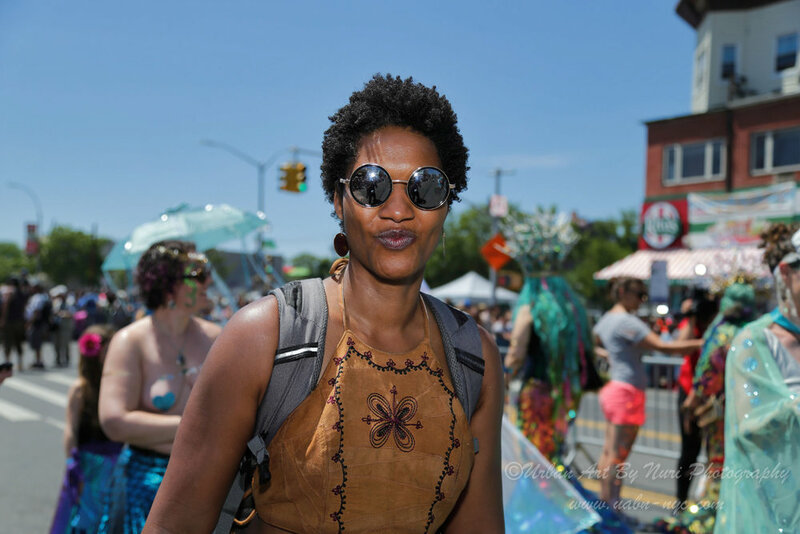 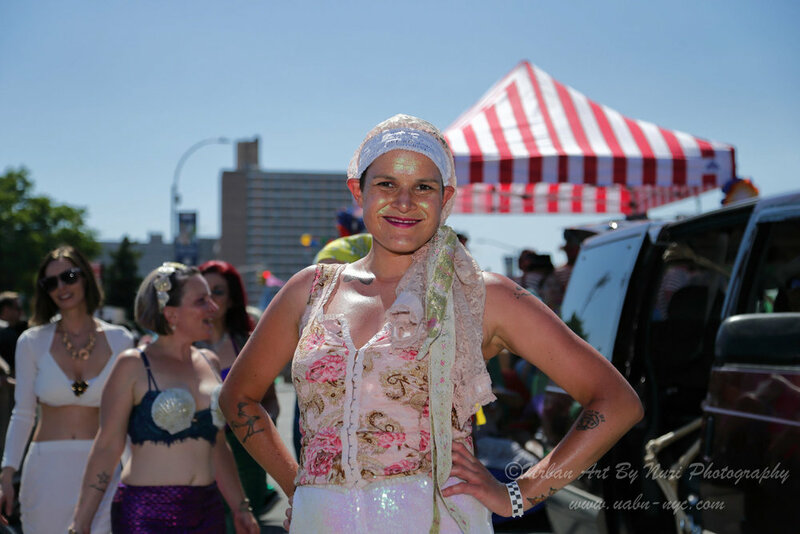 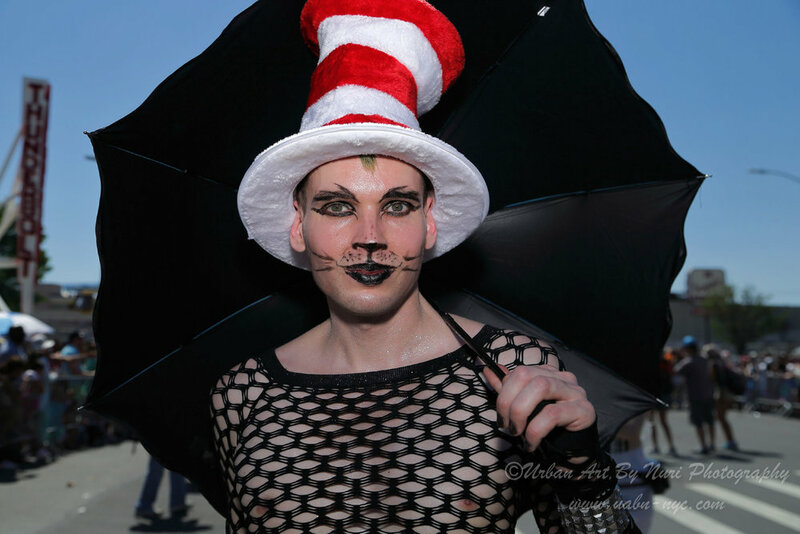 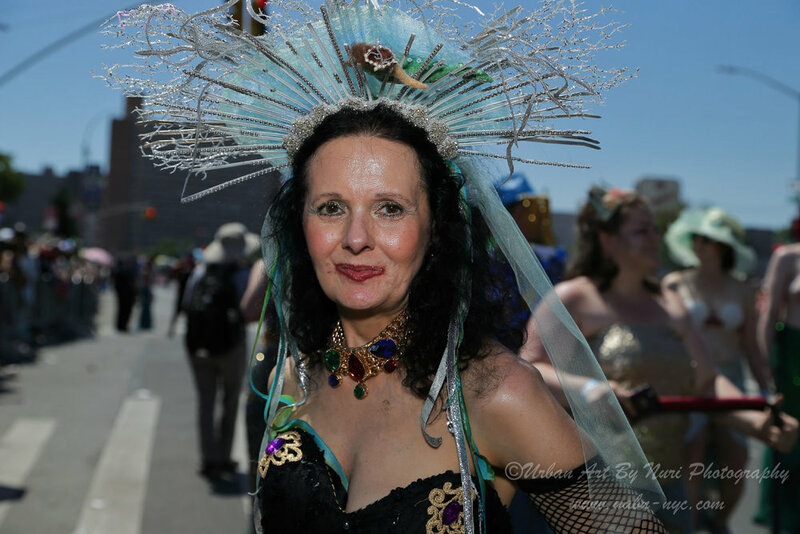 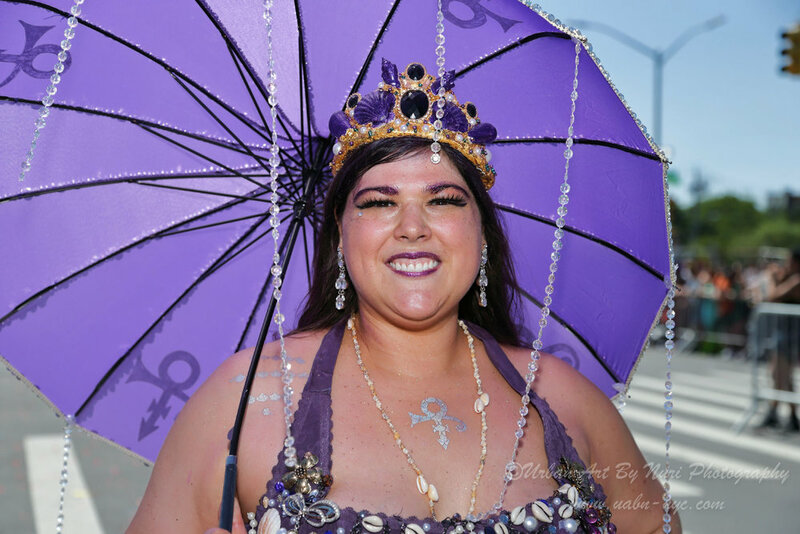 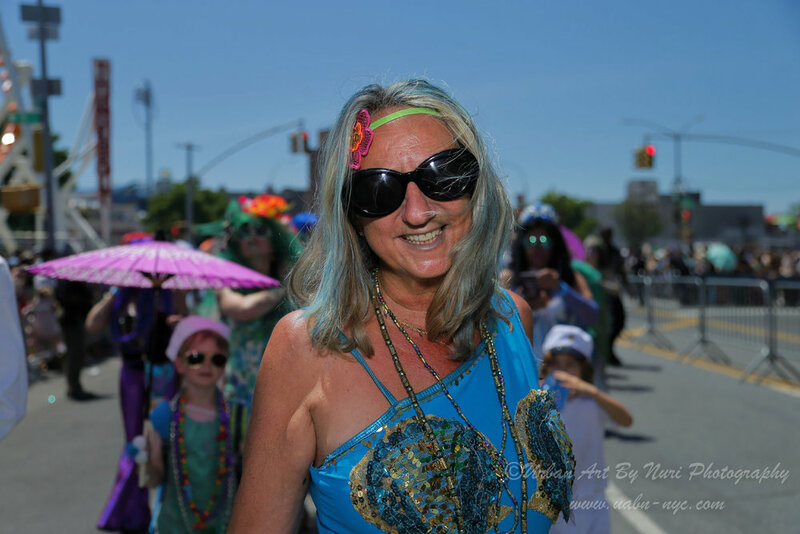 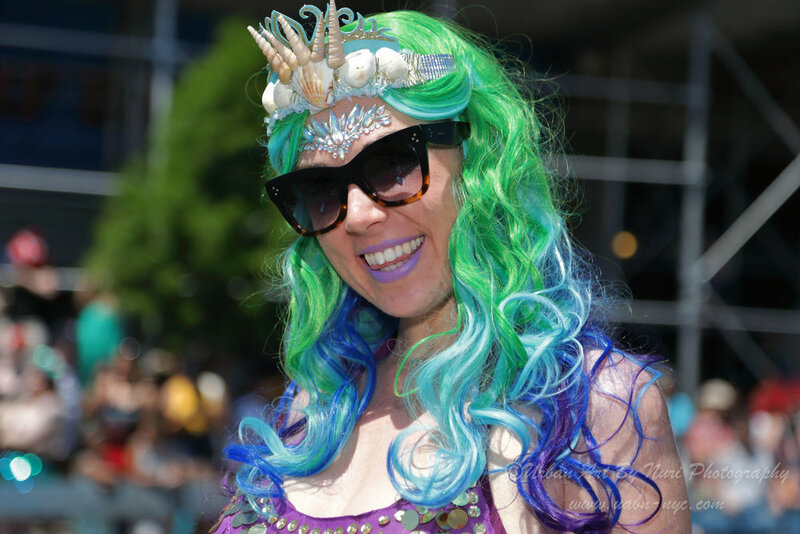 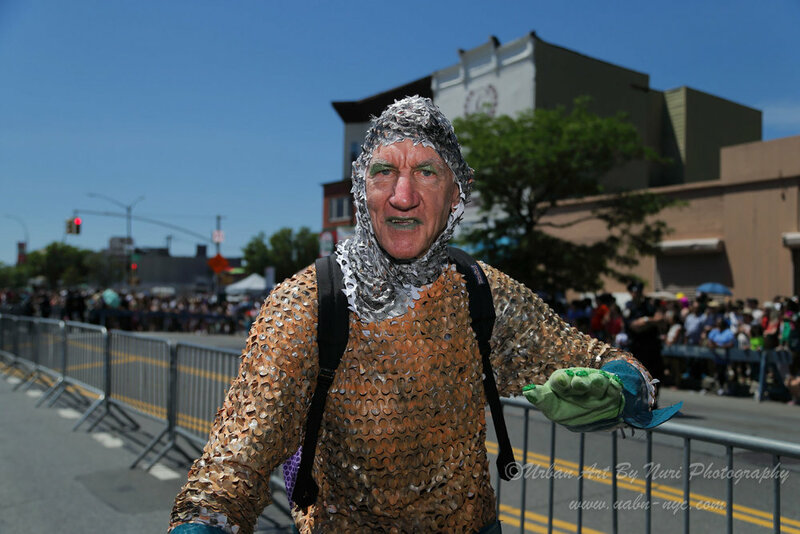 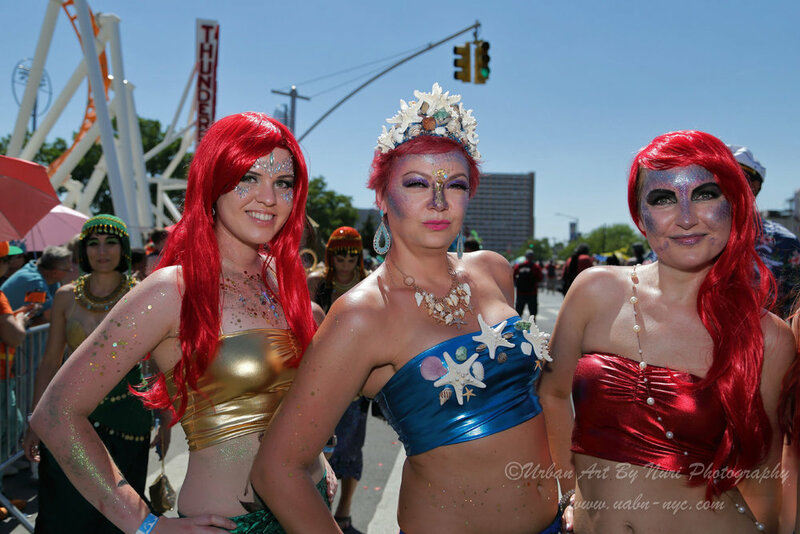 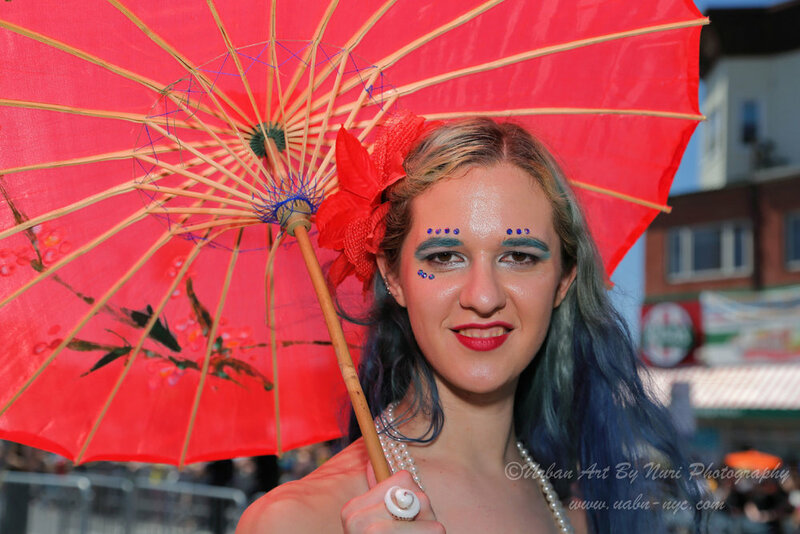 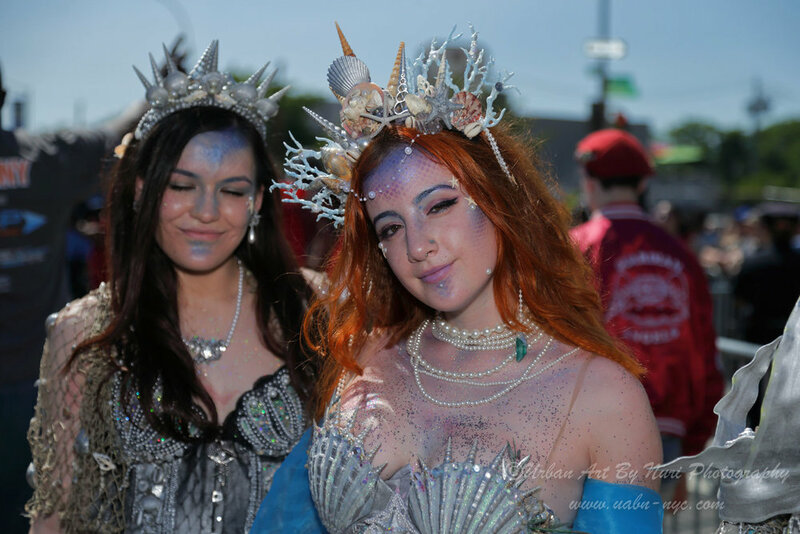 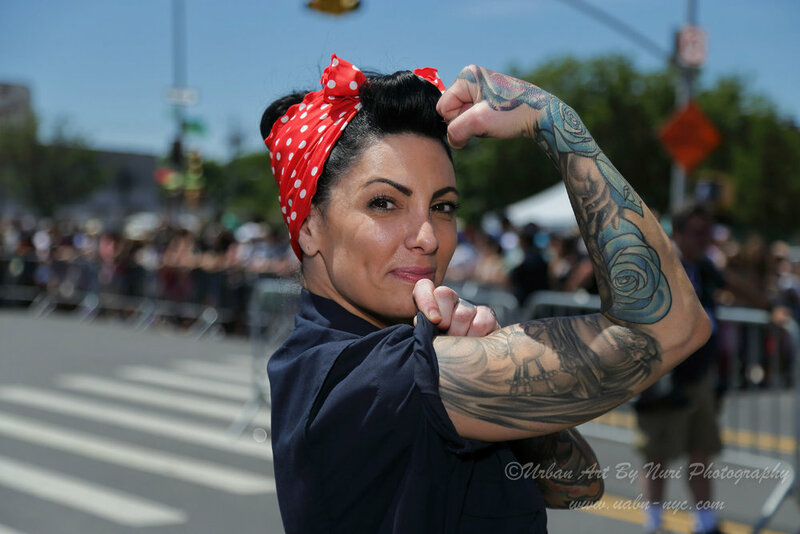 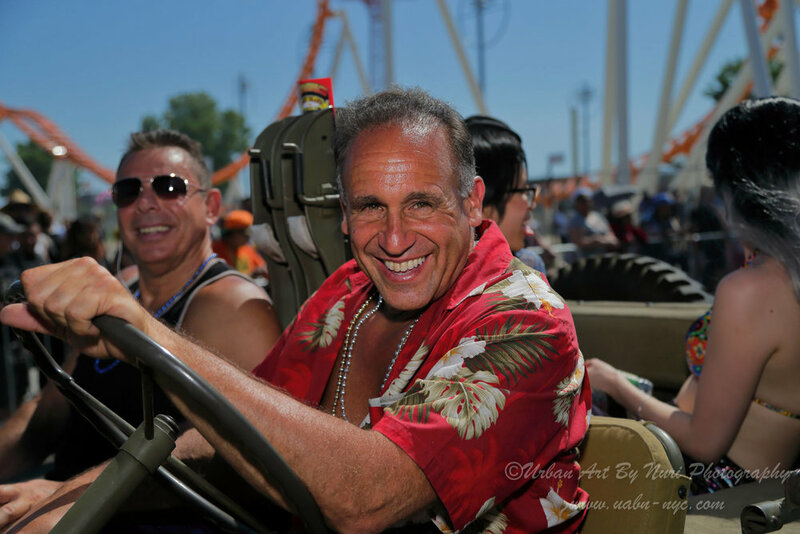 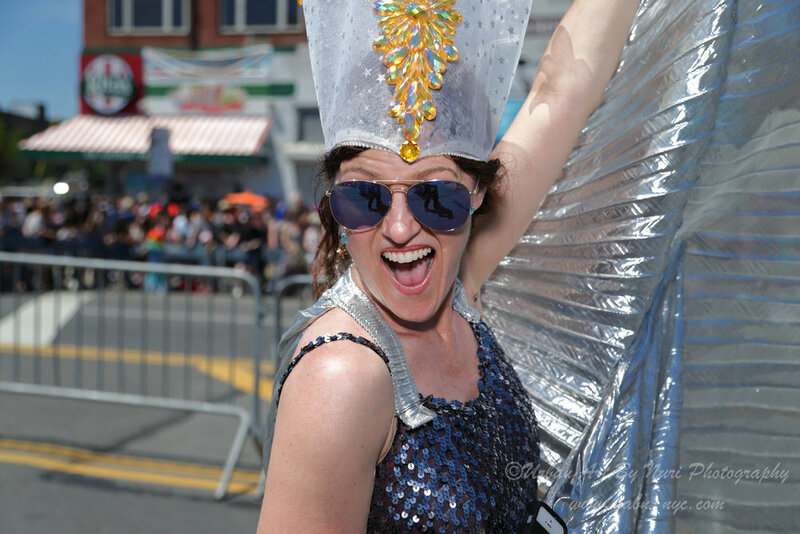 Welcome to the 2018 Gallery of the Coney Island Mermaid parade presented by NYC Urban Art By Nuri Photography. 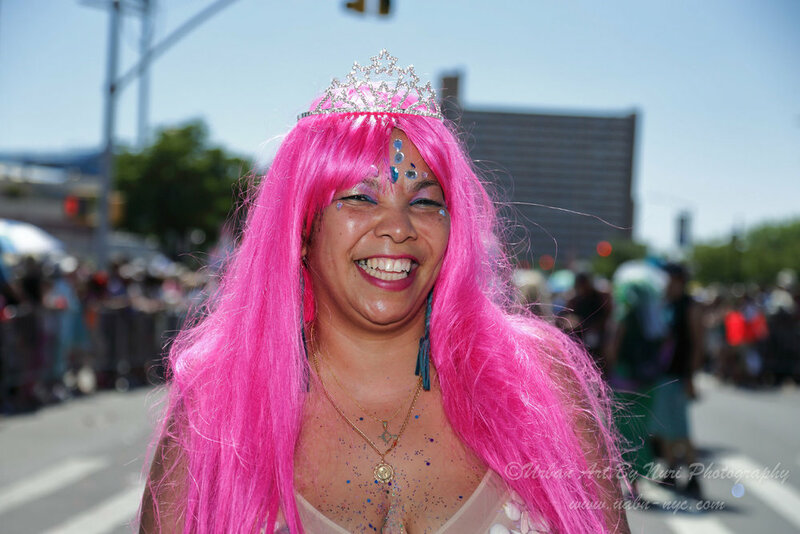 In these galleries you will find some of the most vibrant images captured of this year's parade. 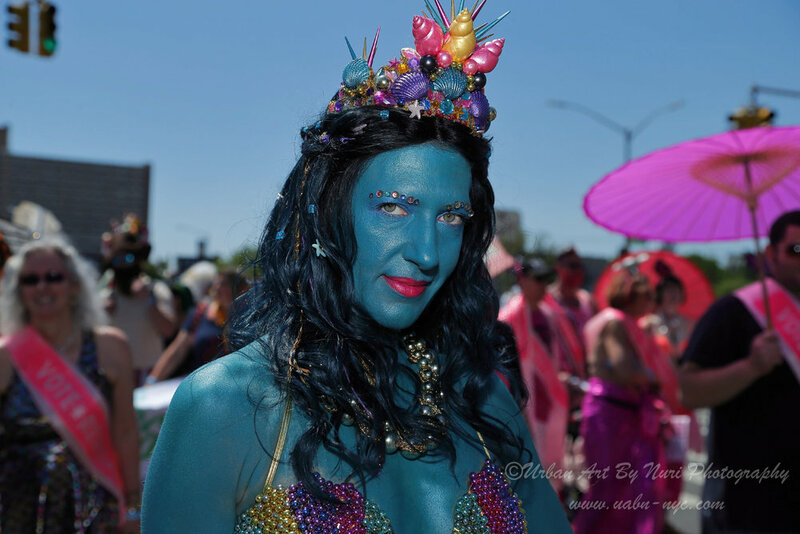 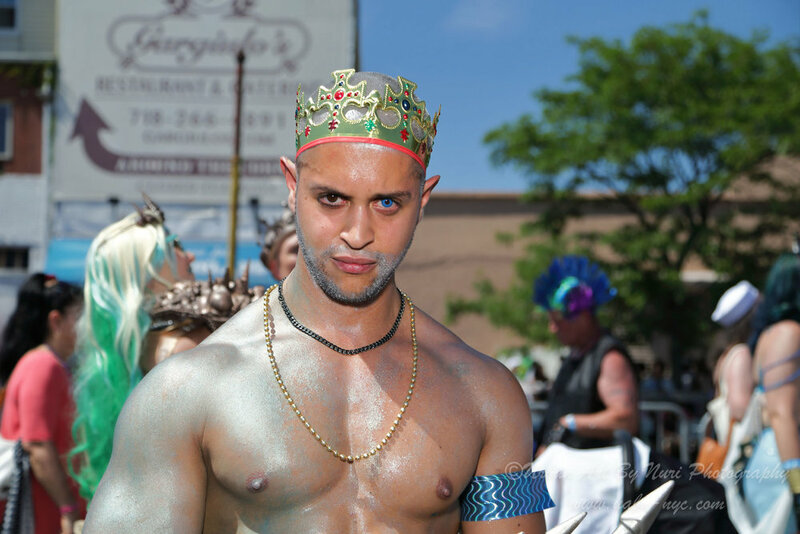 The Mermaid Parade, by tradition, is by far one of the most unique parades you will ever see. 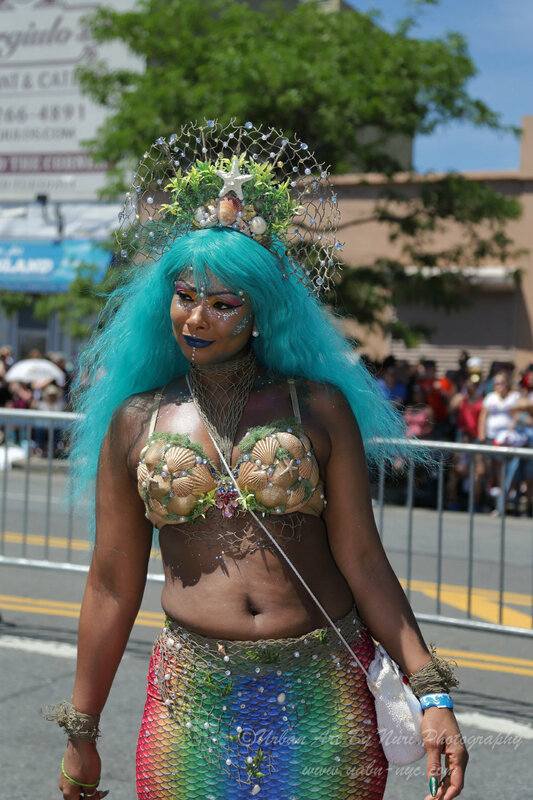 The parade exemplifies the spirit and essence surrounding the diverse neighborhoods of Brooklyn's Coney Island. 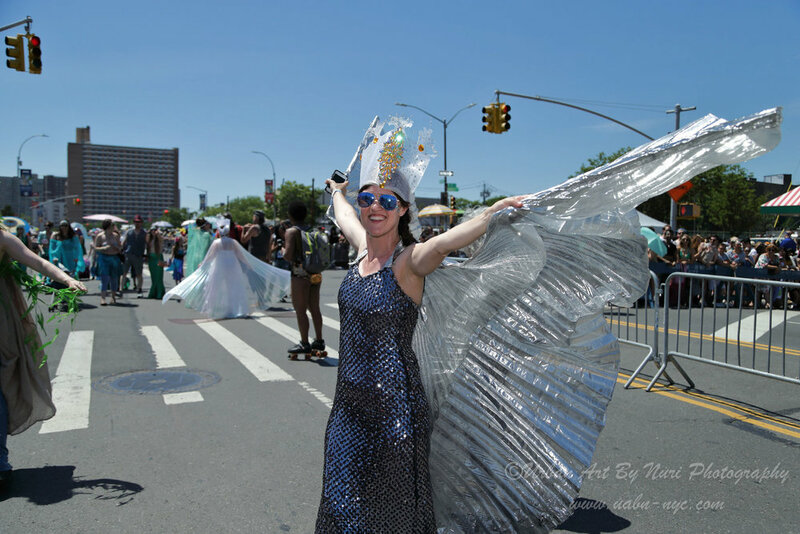 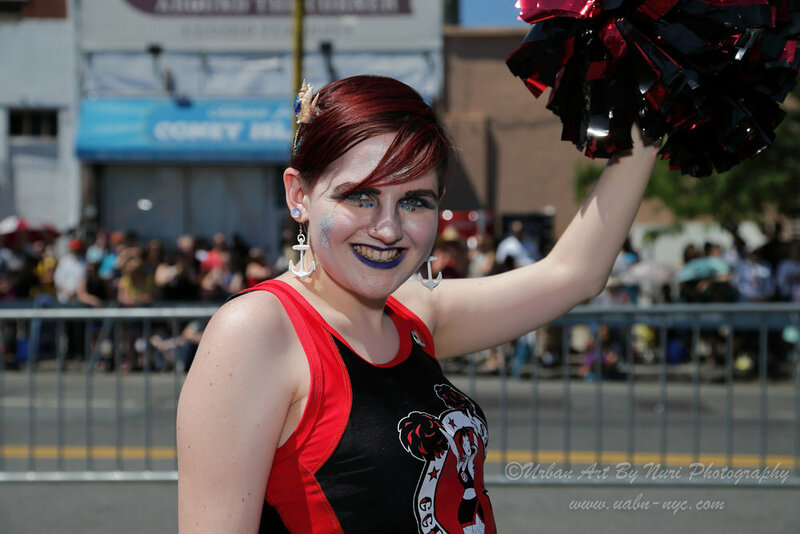 Our goal during for the first year of covering this parade was to focus on the make-up, glitter, and accessories adorned by the parade marchers. 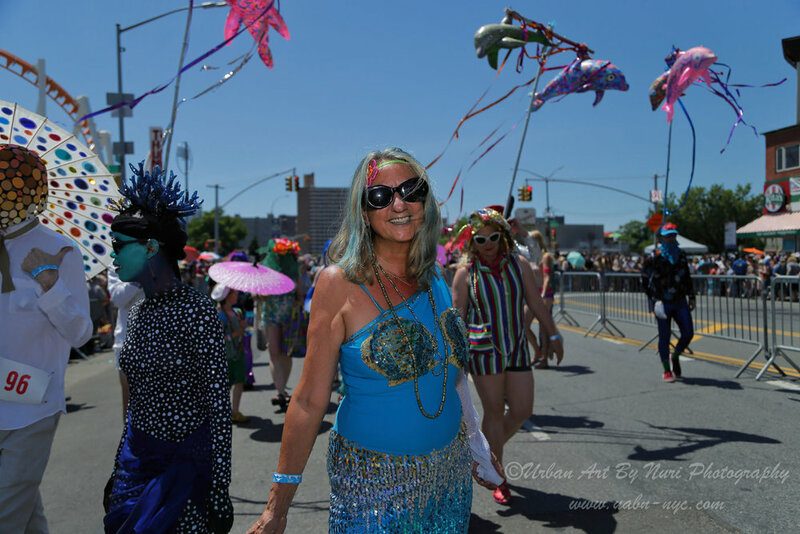 Overall the parade was a beautiful experience of true artistic expression and free spirit. 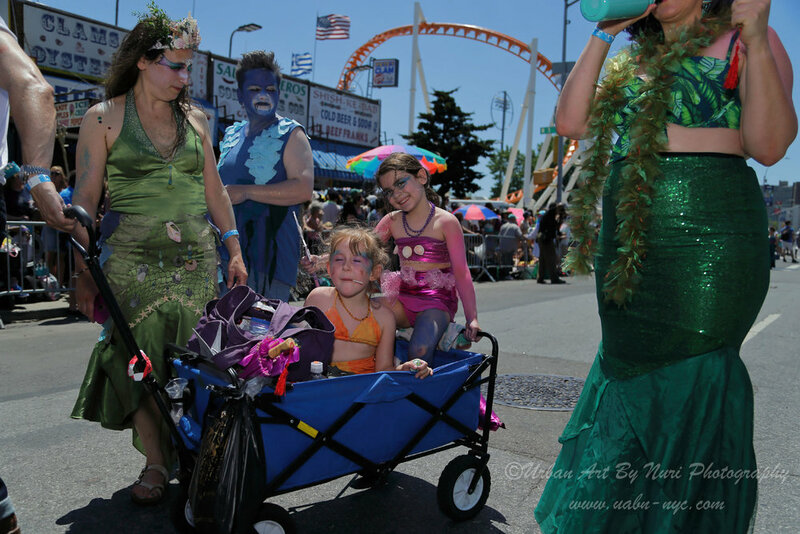 Given the laid back vibe and easy going participants made this parade easy to photograph even though battling the over head sunny conditions presented quite a challenge. 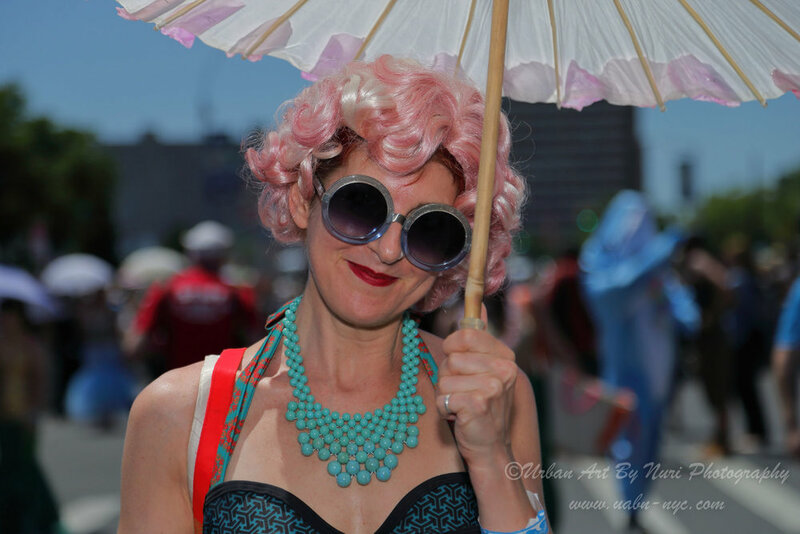 But never the less, we manage to capture the lively colors and blues skies as in these gorgeous street portraits.